Do your students have a hard time showing respect towards others? 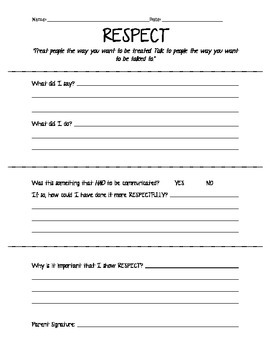 Have your students use this Think Sheet to reflect on their behaviors and to determine if they were absolutely necessary. Like A Trendy Teacher on Facebook for updates and giveaways!